Endnote Basic (formerly EndNote Web) is an online research management and writing tool. It is designed to help faculty and students easily gather, manage, and store research information, as well as generate citations and bibliographies. The purpose of the tool is to simplify the process of documenting sources in a research paper, master thesis, or other project requiring references. Users can create and manage collections of references using a web browser, import references from a number of online databases, create bibliographies that can be inserted into word processing documents, shared among colleagues, and more. 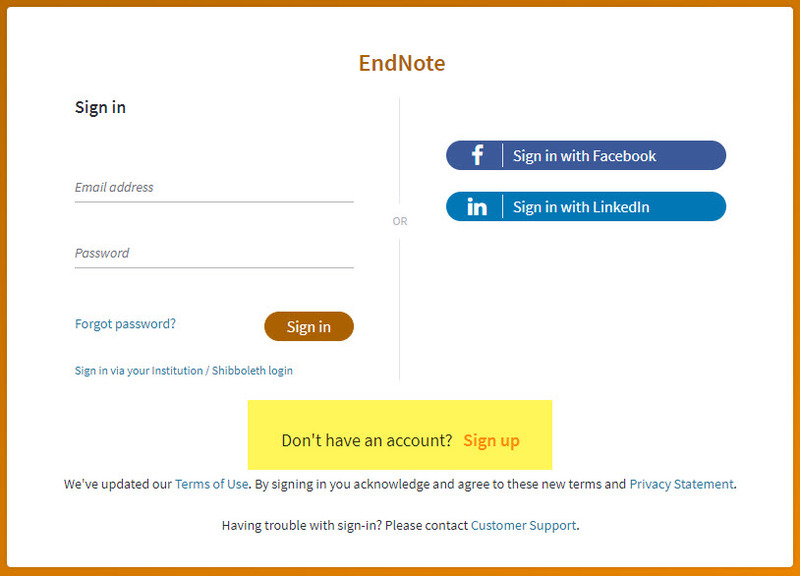 Please Note: If you are using EndNote for the first time, click on the "Sign Up" link to create an account.